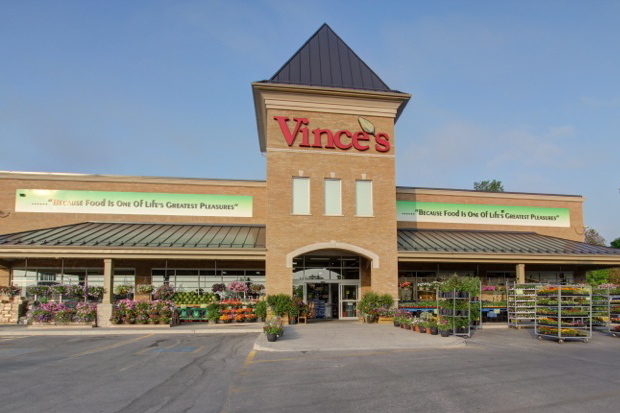 Vince’s Market is an award-winning Ontario grocery chain that has been recognized as being one of the top Independent Grocers in the country. We recently spoke with Giancarlo Trimarchi, Co-owner of Vince’s Market, about Vince’s history, the growing demand for organic poultry, and his favourite way to enjoy chicken. Vince’s has a long history in Ontario, with the first store originally opening in Toronto in 1929. The Vince brothers moved the location to Sharon in 1956 as an open-air fruit market. In 1984, my father, Carmen Trimarchi, purchased the business and continued to run it as open-air market until 1989. From there, he built out the business into a full service supermarket, adding a second location in Newmarket 15 years ago, and then a third location in Uxbridge 5 years ago. My father is still active in the business, along with myself and business partner Brian Johns. Can you tell us more about the philosophy of Vince’s Market? We built the business off of fresh fruits and vegetables, and then expanded into a greater product offering. We have always been community focused, offering fresh, quality products at great value. We endeavour to buy from local suppliers where possible. Our slogan, “…Because food is one of life’s greatest pleasures” reinforces the importance of price, quality and the enjoyment of food in our everyday lives. 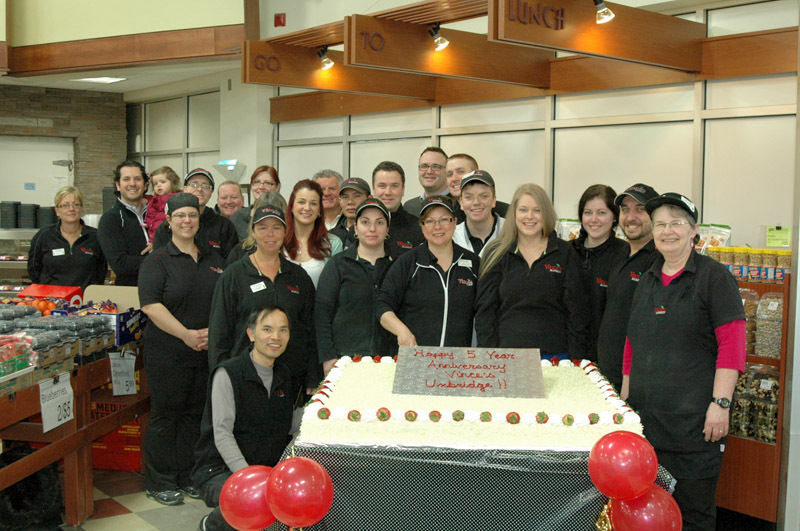 The Vince’s Market Uxbridge team celebrates their 5 year anniversary. Vince’s Market has always focused on offering the highest quality, most nutritious products available. 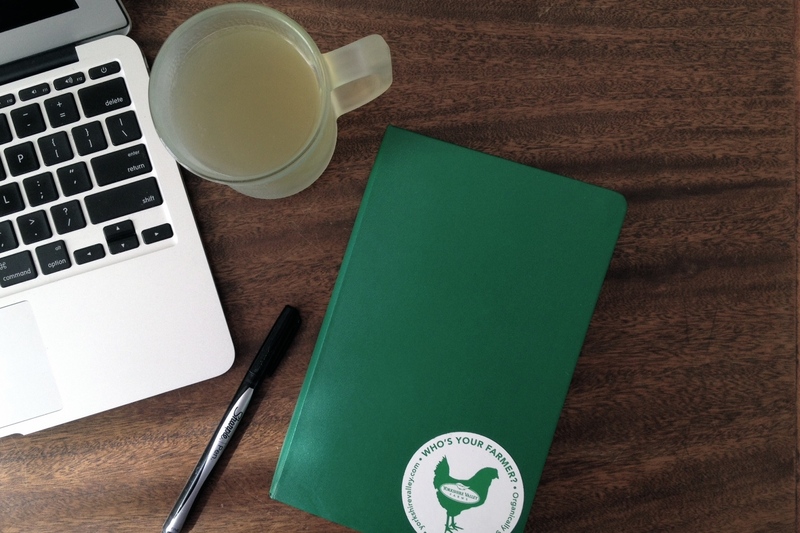 In the last few years, customers have been asking that Vince’s offer more organic options, especially when it comes to poultry. We have a strong Facebook following and are fortunate to get important feedback from customers though social media or directly in store. Customers have expressed their concerns with conventional growing practices and their desire for more organic meat options. Why did you choose to work with Yorkshire Valley Farms? 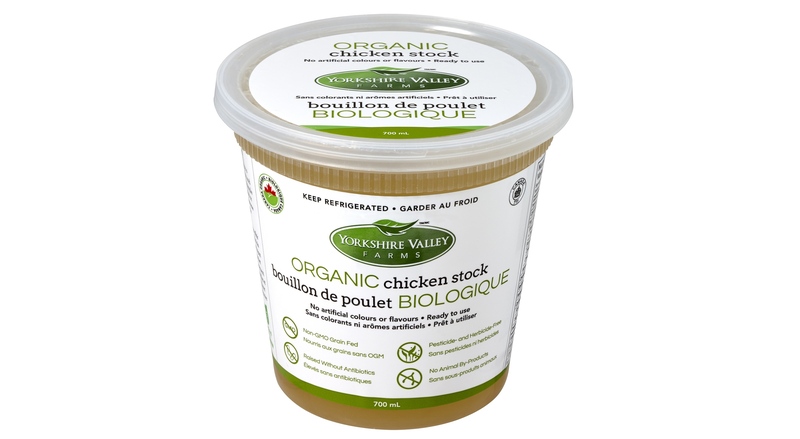 Yorkshire Valley Farms was one of the first to offer a full range of fresh organic chicken products. And as YVF expands, we have been able to provide our customers with more choices. We’ve just added the YVF frozen boneless skinless chicken breasts to our offering. We have to ask…what’s your favourite chicken dish? Chicken fajitas! I love the spices and all the flavours. What’s next for Vince’s Market? We are working on major renovations to the Newmarket store and then next will be the Sharon location. We think it’s important to continue to invest to make an even better store experience for our customers. Because we are an independent, we can react to customer feedback, so we’re always working to source new products that better suit our customers’ needs. For example, we’ve received a lot of feedback around the need for better gluten-free choices, so we’ve introduced a whole new section of gluten-free products. Yorkshire Valley Farms is proud to announce that we are one of three national lead Share The Health sponsors alongside Neal Brothers and Bernardin, a lively new event series run by CFCC that will raise funds to bring local healthy, and sustainable food into low-income communities via partnerships between farms and Community Food Centres. Community Food Centres Canada (CFCC) provides ideas, resources and a proven approach to partner organizations across Canada so they can establish responsive, financially stable Community Food Centres. These centres work to bring people together to grow, cook, share, and advocate for good food. With their partners and communities, they are working toward a healthy and fair food system. And a win for low-income communities. Because good food matters to us all. In 2013, proceeds from five lively community events will be used to buy produce from environmentally sustainable, small local farms for use in meals, hampers and kitchens at three Community Food Centres across Ontario: The Stop CFC in Toronto,The Table CFC in Perth and The Local CFC in Stratford. With the first community event being a huge success, having sold out tickets to the concert, we are excited to see the events in the coming weeks. 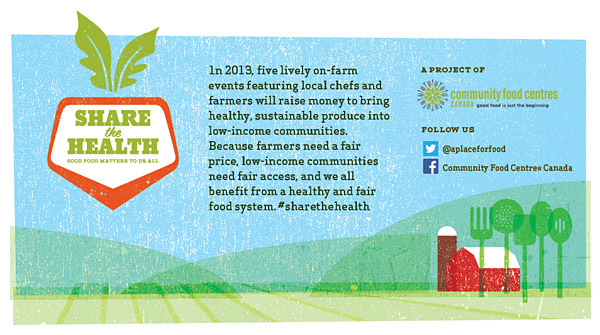 The next event is on August 24th 2013 in Perth, Ontario, where Share the Health will be showcasing Lanark County’s farmers and chefs. So come by and have a night with good food for good food, because good food matters to us all! For more information on upcoming Share The Health events visit Community Food Centres Canada.